All wholesale power and gas contracts fell this week. Prices have been pressured towards the end of the week by forecasts of warmer temperatures over the weekend, falling commodity prices and a well-supplied gas system. 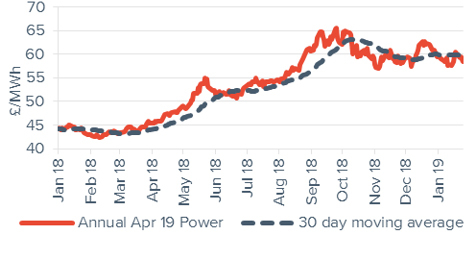 All baseload power contracts fell, with day-ahead power down 7.5% to end the week at £59.5/MWh, weighed on by falling gas and commodity prices. Seasonal power contracts were down 2.4% on average. 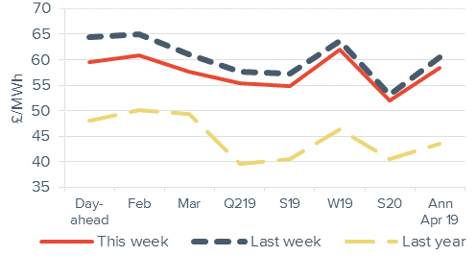 All gas contracts fell as temperatures lifted towards the end of the week and the gas system was well supplied with an increase in LNG imports. Day-ahead gas decreased 7.7% to 57.7p/th, although forecasts of below seasonal temperatures from 28 January could lift prices this week. Seasonal gas contracts slid 5.6% on average. Summer 19 gas fell 9.2% to a seven-month low of 50.2p/th. Brent crude oil prices were up 1.8% to average $61.7/bl. Prices dropped in the middle of the week following reports that US crude stocks rose to 445mn barrels. However, Brent crude prices recovered after the US threatened to impose sanctions on crude exports from Venezuela. API 2 coal prices rose 1.7% to average $86.0/t. Coal prices dipped towards the end of the week to $85.7/t as an uptick in temperatures in continental Europe lowered demand. 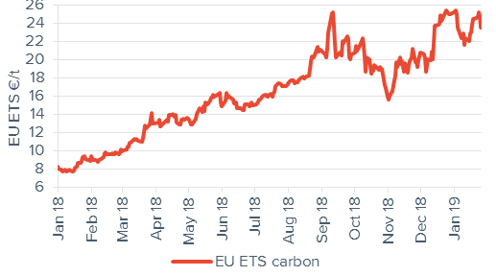 EU ETS carbon prices were up 5.7% to average €24.5/t. Carbon prices found support last week as below seasonal normal temperatures across Europe pushed up power demand and led to an increase in conventional power generation amid period of low wind generation. Day-ahead power fell 7.5% week-on-week to £59.5/MWh, following a reduction in gas prices and forecast of higher wind output over the weekend. February and March 19 power contracts dropped 6.1% and 5.5% to £60.9/MWh and £57.7/MWh respectively. Annual April 19 power declined 3.4% to £58.4/MWh. 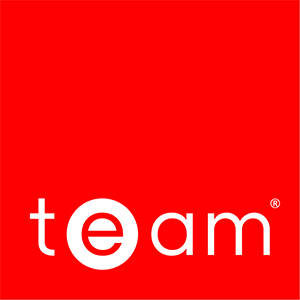 The contract is 4.2% below the same time last month when it was £60.9/MWh, but 34.4% above the same time last year when it was £43.5/MWh. Day-ahead peak power dropped 10.8% to £64.7/MWh. This was £5.2/MWh above its baseload counterpart. 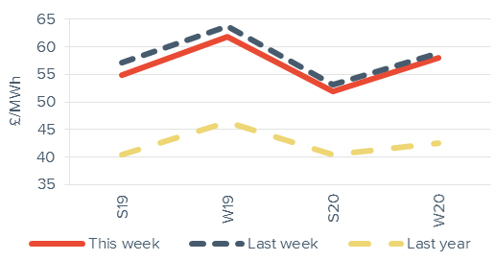 Month-ahead peak power went down 5.2% to end the week at £67.4/MWh, £6.5/MWh above its baseload counterpart. Week-on-week, annual April 19 peak power fell 2.0% to £63.8/MWh. 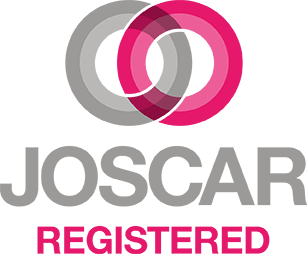 The contract remains £5.4/MWh above its baseload power counterpart. 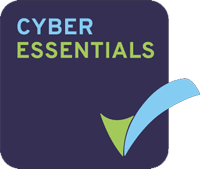 The contract was 4.0% below its price last month (£66.5/MWh), but 32.7% higher than its value last year (£48.1/MWh). All seasonal contracts fell, down 2.4% on average from the previous week. On average, contracts are 2.2% below the same period last month. Summer and winter 19 power went down 4.1% and 2.8% to £54.9/MWh and £61.9/MWh respectively. All seasonal peak power contracts went down this week, reversing the previous week’s gains. 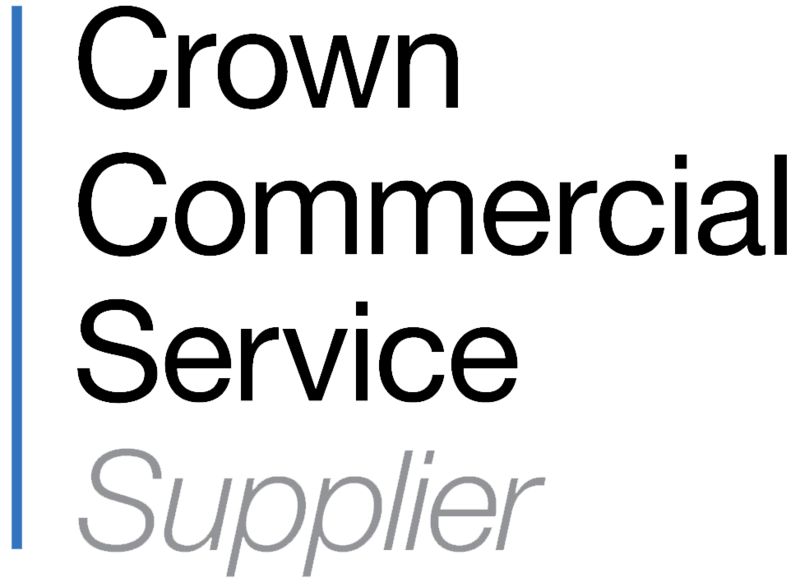 Seasonal peak contracts lost 2.5% on average. 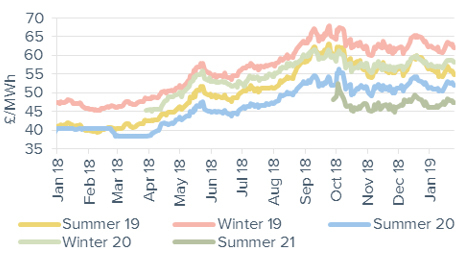 The summer 19 peak contract saw the largest change, dropping 3.6% to £58.8/MWh. Brent crude oil prices rose for the third consecutive week, up 1.8% to average $61.7/bl. Prices dipped in the middle of the week, dropping as low as $60.3/bl following reports of a large increase in US crude stocks the previous week – the US Energy Information Agency (EIA) later reported that US crude stocks rose by 8mn barrels the previous week to 445mn barrels. However, Brent crude prices recovered towards the end of the week after the US threatened to impose sanctions on crude exports from Venezuela. 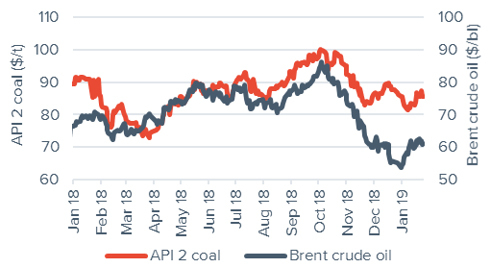 API 2 coal prices continued to recover, rising 1.7% to average $86.0/t. However, coal prices dipped towards the end of the week as forecasts of milder temperatures in continental Europe lowered demand. EU ETS carbon prices continued higher, up 5.7% to average €24.5/t. 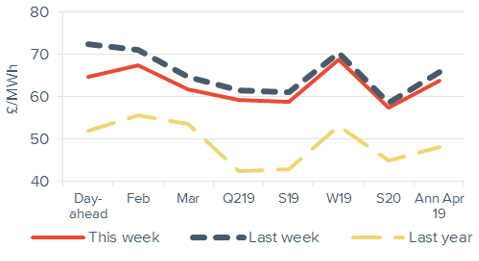 Carbon prices found support last week as below seasonal normal temperatures across Europe pushed up power demand and led to an increase in conventional power generation amid periods of low wind generation. EU ETS carbon prices are expected to drop slightly in the near-term, with mild temperatures in continental Europe forecast next week lowering demand for EUA volumes. Further pressure can be expected when the German coal phase-out commission announces dates for the closure of coal fired-power plants.